Abstract: Many types of diseases like cancer, Cardiac, Infectious diseases etc. if detected early can help save lives, but the traditional detection methods are too expensive, painful and the device is not available to the general masses due to non availability of labs or other infrastructures etc. POC Medical Systems is launching the “Pandora CDx” box intended to subvert the original laboratory testing methods to help people fight these dreaded ailments in any part of the world be it the remotest villages. Speaking of Pandora’s box, people think things are bad, it releases all the evil of this world, but a lot of people forget, also deep in the bottom of the box the only thing that was left was “Hope”. 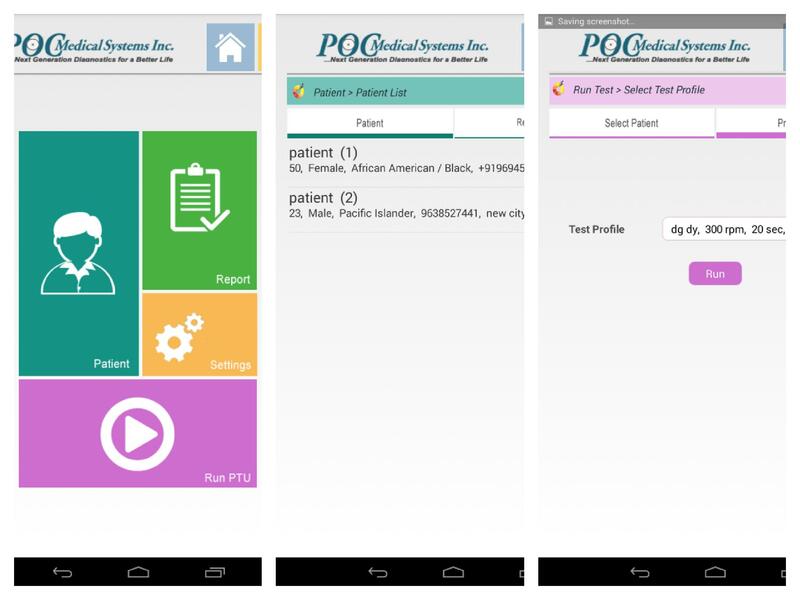 POC Medical Systems, now will release “hope”. There is a start-up company in the trivalley region of the San Francisco Bay area, with a product called “Pandora.” . The company’s products can be a revolutionary way to help people to conduct blood tests at the the doctors office in real time which can help the Physician make diagnosis with the fastest speed and hence allow for relevant treatment. Like the Pandora’s box, it seems to give you bad news, but in fact since you get this data early it in fact leaves you with the most precious thing and that is “hope”, a chance to take corrective action early and possibly save lives. This company is called POC Medical Systems and, in the spirit of Silicon Valley doing the most important thing – using the power of technology to change the way people treat diseases. POC produces a rapid diagnostic equipment, that is, innovative equipment in the field to provide the test results. Flagship product is called “Pandora CDx”, is a small medical laboratory centrifuge system + detectors, much like a CD player, a very simple to use: just put a drop of blood on a proprietary CD-ROM, and insert the CD into the testing machine. Within 15 minutes, the test is completed and the report is produced. The report is quite detailed and gives the normal values and the actual values the Pandora CDx has obtained which helps doctors in making a diagnosis of the disease. Pandora is currently testing for breast cancer, using the Mammo Alert disk on Pandora CDx system. Post running the tests, doctors can see the data, it will determine whether the initial patients may suffer from breast cancer, the need for further examination. May sound very simple, but if you know that the traditional method of breast cancer screening, you will understand why what POC has done is a true revolution. The traditional method of detecting breast cancer using breast X-rays. 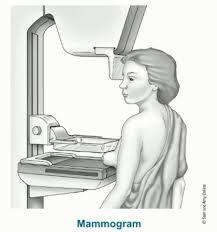 In fact, it is very painful: the subject was asked to stand before the X-ray emission device, the technician will use a special device to flatten the breasts on both sides as far as possible, so that it can be a very low amount of X-rays through the whole chest, allowing you to see if there are abnormal breast tissue. That is actually a very painful process, a lot of people even after checking have to take very strong painkillers to ease this pain. Further the women are subject to radiation which could over time result in activation of genes like the Braca1 and Braca2 which can then result in cancer. Moreover, doctors need 5-10 days to return results to the patient, the accuracy rate is not high, there is often a quarter of the misdiagnosis rate – which brings the patient is great fear and suffering. More importantly, POC also has its own specialized applications, laboratory data will be sent in real time to physicians via Wifi, so either the patient or the doctor can immediately see and track your data. This compared to a traditional examination results 5-10 day waiting period to be much more efficient. Pandora can also bring another revolution and that is it greatly reduces the cost of testing. Founder and CEO Sanjeev Saxena said, the price is about $ 500 for the Pandora CDx which makes it affordable by most PHC’s, Physicians, Health Checkup centers, small Labs, Hospitals, Chemist shops / Pharmacies. The CD’s which can perform the test for 10 patients costs only between $ 10 and $15 and hence it implies the test would cost less than $3 per patient depending on if the provider wants to charge a markup on the test of 2 times. Hence, it means that each patient only by spending a few dollars can get a very accurate test results. In the US, the price of a breast X-ray examination of the patient in about $ 300. Of course, since the Box is a professional monitoring data test results, so it is not sold to ordinary families, but to Physician, hospitals, clinics or medical centers where the latest generation of “Pocket laboratory” . “This is not just a device for the detection of breast cancer, but a miniature laboratory, and can detect all blood-related diseases.” Sanjeev Saxena said. Although it has been optimized for Breast cancer, but anything that can be detected using a fluorescent biomarker can be detected using the pandora CDx, even detect heart diseases like Myocardial infarction, diabetes and so on. Instrument itself need not be changed, only you need to find the right combination of Protein Biomarkers. In Sanjeev’s opinion, this new generation of laboratory, will fundamentally change the way people see a doctor: People no longer have to wait in laboratory queues and run between different clinics for getting diagnosed and treated. All of this will now be done in real time. Just imagine, you go to see the doctor, the typical wait time is 15 to 30 minutes. The test will be performed by the doctors assistant and result provided to you through your mobile app and also to your doctor. The test is conducted with the prick of a finger and a drop of blood is applied to the CD. The test is completed in less than 15 minutes and can be reviewed with your doctor right away face to face, hence allowing for symptom and data based treatment as opposed to the traditional way of treatment which was symptom based treatment . Further, since your data is archived in the cloud, it allows for second opinions and also the new concept of “Distributed but connected Point of Care”, treatment and healthcare for the remotest of locations using the Pandora CDx and a smart phone. Sanjeev Saxena team now has 26 people. He is a US citizen who migrated to the United States over 30 years back from India. He is a person engaged in medical technology and related work, he has created as an important member of a biotech aspects listed companies Sepragen. In his view, biotechnology, medical and health research, there is much you can do, and each one can give new hope to thousands of people, perhaps more meaningful life. “In fact, many cancers, such as breast cancer, you can check it out early, but still a quarter of people died because of breast cancer, because most cases are discovered too late.” Sanjeev Saxena says “I understand, because the traditional X-ray of the breast is too expensive, painful, and in many places not even available and hence traditional mammography is not popular in China, India and many countries”. According to Globocon the cancer division of WHO, less than 60 million are screened annually. Also it should be noted there are 1.6 Billion women over the age of 40 (when the risk of Breast cancer starts increasing). Of the 60 million screened about 2 million women are found to have cancer and about 500 thousand women die of this dreaded disease. Just imagine, if all 1.6 Billion women were to be screened, how many women with cancer could be found and how many lives could be saved. The math would make your head spin. If detected early, these lives could be saved. We owe it to the women in our lives to do something about it. Another fact, 1 out of every 8 women will develop breast cancer in their life time. So at POC, we have decided to change that. Sanjeev Saxena says, the main market for the Pandora CDx, medical assay systems will initially be India and China, because in both countries, the scarcity and high cost of medical facilities so that many patients have no way to make timely detection of diseases such as cancer, Pandora medical laboratory systems can bring the cost down to a tenth of what it is today, which can help patients in these countries. The case in the rest of Asia or Africa and South America is no different. POC Medical Systems has been named by Yahoo “five are committed to helping developing countries Technology Companies”. 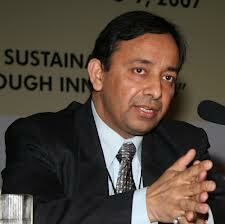 Sanjeev Saxena said he has a very deep understanding of the Chinese market, ie, what kind of equipment, is in hospitals. In every big city, there are three types of hospitals, A, AA and AAA. AAA hospitals are far and few in between and have all the facilities while the A hospitals don’t have very much. It is also important to note that the 120 million govt. employees have complete health care but the farmers and other (about 70% of the population) are left to fend for themselves and so NGO’s and lower cost alternatives are starting to springup around the country side. So, Sanjeev Saxena plans in India by the end of this year, next year to set up plants in China for the production, they also want to be able to find Chinese partners. Saxena’s team already has investment from well-known financial investors like TiE Angels, NewGen Partners, PreAngel and Virtues Inspire. POC Medical Systems has so far raised more than $2.25 million to build the product and commercialize it. This is the fifth start-up company by Sanjeev Saxena. Why did we create a “Pocket laboratory,”? Sanjeev explains, In emerging markets, he would go to the doctor and hospitals to see friends and family, often find a lot of people are sleeping on the floor of the hospital, is to be able to get an appointment or so they do not accidentally miss an appointment, because if they did they could have to wait atleast another month to get the next appointment and in the mean time the disease has progressed. This wait is basically a sentence to death. This situation is quiet common in China and India. So we decided to change it. Breast cancer in China was the 2nd in the number of cancer cases but has now become the number one reason for cancer deaths. While the mortality rate is the highest, the reality is 96% of early breast cancer can be cured. So earlier diagnosis and treatment will not only be more effective, but it can significantly reduce mortality. There are a lot of women in China 350 million women over the age of 40 and 250 million women in India over the age of 40, but there is very few mammography centers or low cost high accuracy screening tools to screen these women on a regular basis and hence these women are left to die. The Mammo Alert using the Pandora Cdx can change this.